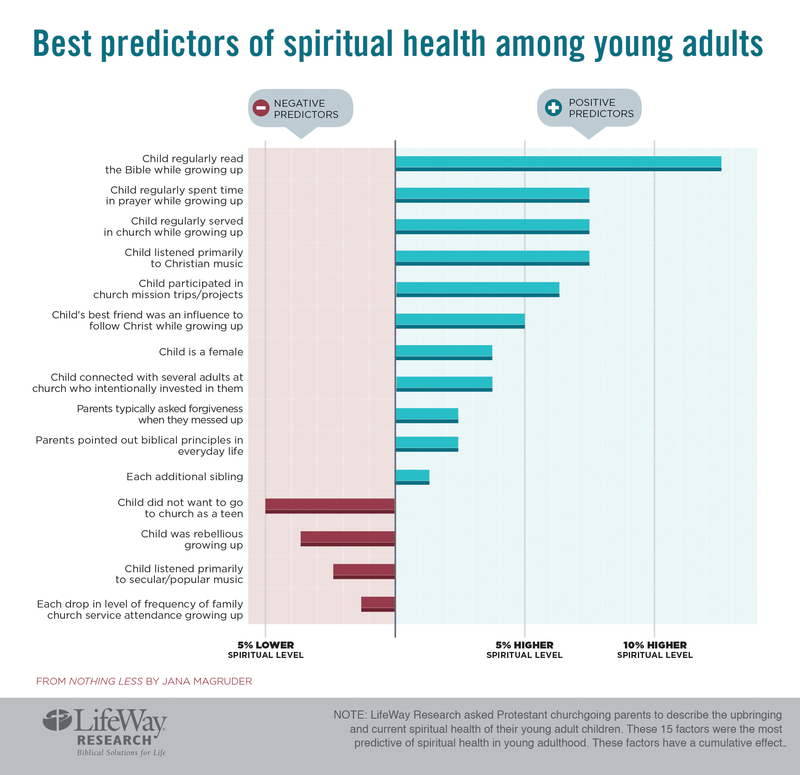 The study was sponsored by LifeWay Kids. A demographically balanced online panel was used for interviewing American adults. The survey was conducted Sept. 22 to Oct. 5, 2016. The sample was screened to include only Protestant and nondenominational Christians who have a child between the ages of 18 and 30 and who attend religious services at least once a month. Maximum quotas and slight weights were used for gender, region, age, ethnicity, and education to more accurately reflect the population. The completed sample is 2,000 surveys. The sample provides 95 percent confidence that the sampling error does not exceed plus or minus 2.3 percent. Margins of error are higher in sub-groups. Click here for more information on Nothing Less: Engaging Kids in a Lifetime of Faith.